What is Summary Probate in Florida? People are often surprised when they find out the potential costs and time involved in a probate administration. Because this is obviously an extremely emotional time for the decedent’s family, the courts have established an alternative method for those who have small estates. If it qualifies, the estate can pass through what’s known as summary probate, which is a more simplified process when compared to a formal probate administration. If you have questions on what probate entails for a small estate, it’s important to speak with a West Palm Beach probate attorney for the most up-to-date information. Any real estate that is titled in the name of the decedent, or the decedent and someone else hold the real estate as tenants in common; unless the property is subject to other treatment because it is homestead property. At least two years have elapsed since the person died. It’s important to understand that while summary administration might seem preferable, there are some potential negative aspects that you should familiarize yourself with. One of the most important elements is that a personal representative is not appointed by the courts. 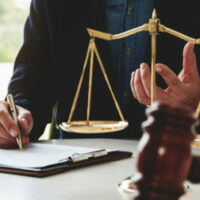 In the case of summary probate, there is a petitioner, and the petitioner doesn’t have the same power that an executor or personal representative has. This means the petitioner can’t inquire to find out if there are additional assets, as entities, like a bank, have no legal authority to discuss accounts with the petitioner. If you later discover additional assets, you may have to amend the filing and proceed with a formal probate administration anyway. There are some situations where summary administration might not be the right fit. In situations where there are a lot of creditors, the property may be in foreclosure, back taxes are owed, or there is a pending wrongful death suit, there has to be a formal representative appointed in order to act as the representative of the estate in the civil suit. If you have questions about summary administration and understanding what type of probate administration is right for your family’s situation, it’s important to speak with a skilled West Palm Beach probate attorney who can walk you through the basics. At the Law Offices of Larry E. Bray, P.A., we have years of experience helping Florida clients with all their estate planning needs. Call our office today at 561-571-8970 to schedule a consultation.